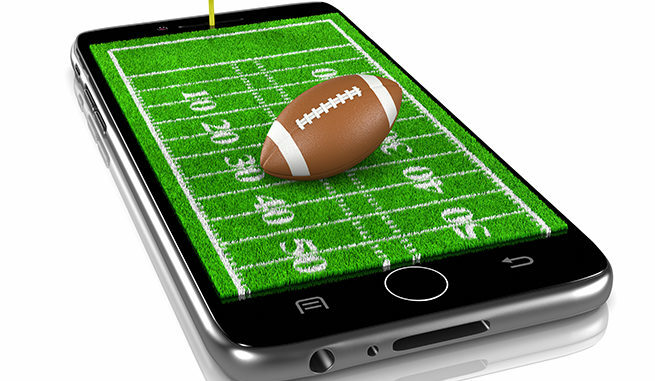 In recent years the NFL has shown an impressive dedication to their digital fan experience with the proliferation of mobile apps and in-stadium networks around the league. Last month, the league signaled their next major move towards digital when they announced a new 5-year $2 billion deal with Verizon Communications to begin streaming the league’s content live across digital platforms. It’s the biggest move towards live streaming that we’ve ever seen from a major sports organization like the NFL. Many leagues offer live streaming through paid signature apps or paid distribution partnerships. But this is the first time we’ve seen a league with as much following as the NFL indicate that they will move to have their live content streamed online for free, and it shows that the NFL is still at the cutting edge of the digital fan experience in the world of sports. Notably, the new contract does not mean that NFL content will be streamed exclusively on the Verizon mobile network. Rather – this new deal will use Verizon-owned platforms like Yahoo, Yahoo Sports, and AOL to stream NFL content across every major mobile carrier. Live streaming will also continue to be available through the existing NFL Mobile app. This means that if you own a smartphone, you can livestream NFL games. Network speed and data limits will obviously figure into the equation, but users in metropolitan areas with unlimited data plans will be able to watch games from around the league live on their devices – starting this month. This year’s playoff games will be used to pilot the program, with the full launch scheduled for the beginning of the 2018-2019 season. Games included in the initial arrangement include national pre-season games, playoff games, the Super Bowl, and some regular season in-market games. The initial agreement does not include Sunday afternoon out-of-market games, whose distribution rights belong to DirecTV through the end of the 2022-2023 season. Verizon has been a partner of the NFL for almost a decade – participating in the distribution of games over the NFL Mobile app, and as a regular sponsor. So, the league felt that Verizon was a great choice to continue expanding their digital fan experience. In addition to live game coverage, the agreement will also give fans mobile access to exclusive NFL content like highlights, week-long league news reporting, and online written content jointly-developed by Verizon and the league. At TGSM, we think it’s great that all fans are going to get free access to NFL games on the go. This new development will certainly expand the league’s viewership, perhaps most notably in the millennial marketplace. Verizon currently holds the national lead in monthly mobile reach among millennials, and this was likely a factor in their selection to begin live-streaming the NFL. The new arrangement will also instantly open a whole new world of potential partnerships for the NFL and Verizon, as new opportunities arise for advertisers and sponsors to target the millennial segment of the NFL’s fan base. The league’s audience will instantly become available to mobile-first campaigns and activations. And most importantly, fans who prefer a mobile fan experience will find a rich set of content on day number one – right out of the gate. We already know that several teams around the league will be very excited about the new Verizon partnership. We work with several different franchises who are actively working to expand their own digital fan experience – especially among millennials – and any support they receive from league headquarters will be more than welcome. The league’s new approach to digital content will also be a great match with our mobile fan experience assets – which bring free high-speed Wi-Fi data networks to the tailgating lot every Sunday. 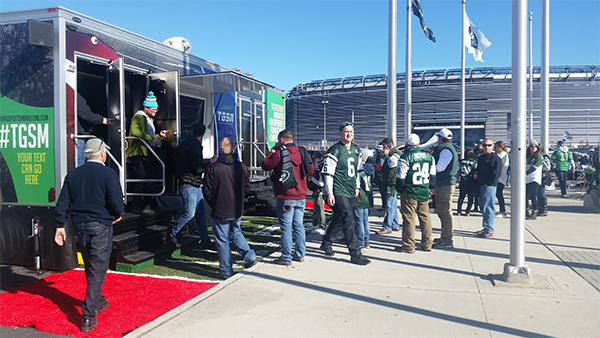 In an effort to help teams better target key demographics like women and millennials – we designed a mobile activation asset that can be instantly deployed to any tailgating lot and easily integrated into broader digital marketing efforts. Our assets attract women and families by providing state-of-the-art luxury restrooms on the tailgating lot. They have authentic china toilets, hot water hand wash, and a fully climate-controlled restroom. They have an immediate impact on the duration of stay for women and families, and in a few short weeks they make a profound impact on overall attendance figures. Our free high-speed data network, stereo broadcast sound system, and interactive gaming opportunities have a similar impact on attendance and duration of stay for millennials. If your organization is looking for ways to improve your digital fan experience and capture loads of valuable anonymous data about your most valuable demographic segments – get in touch with us today! We’ll give you a guided virtual tour of our assets, and answer any questions you may have about how they can be easily integrated with any marketing campaign on your tailgating lot right now.